Fibre is the technology that powers the Internet. Crosslake Fibre is bringing fibre to Canadians and carriers throughout the country to enable new ways to connect. As a high fibre count system, Crosslake Fibre focuses on the sale of dark fibre to enterprise and carrier customers. The route has been specifically designed to provide physical diversity from other Toronto to Buffalo routes. 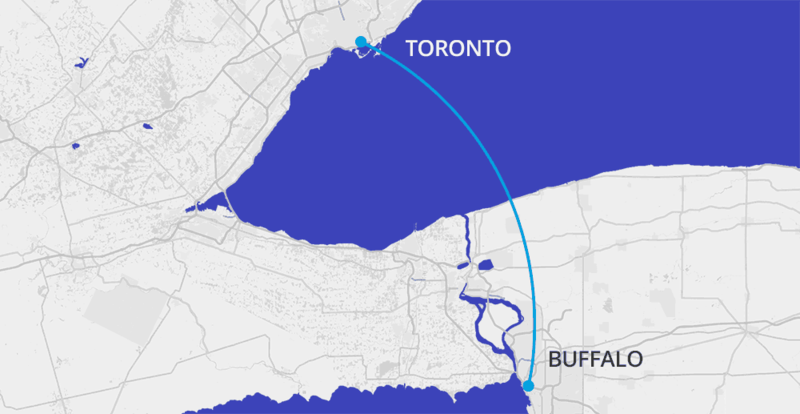 The route between Buffalo and Toronto has been specifically designed to be shorter in distance than the alternative fibre routes. The network is designed as a high fibre count, system between downtown Toronto and downtown Buffalo. The route was specifically designed to provide numerous advantages to carrier and enterprise users. We don’t try to be everything to everybody. We focus exclusively on our core service offering. Our primary service is providing Dark Fibre to carrier and enterprise customers from Toronto to Buffalo. 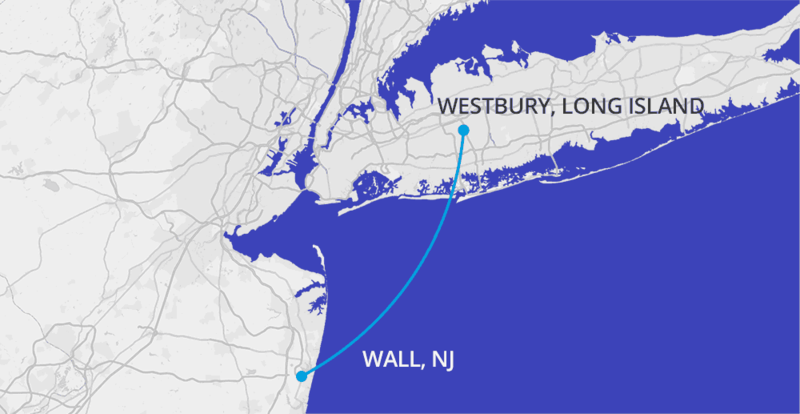 For latency sensitive applications, we provide a ultra low latency lit services from Toronto to the United States with options for onward connectivity. Our US terrestrial backbone passes locations, such as towers, headquarters, and factories where we can provide dark fibre. Crosslake Fibre is the only route to bring physical diversity by transiting Lake Ontario to connect the United States and Canada. Crosslake Fibre provides a low latency fibre route between Toronto and Buffalo and is a shorter path between Toronto and NY/NJ. Crosslake Fibre is using the latest and most advanced technology and methods of construction to provide a carrier grade, future proofed network.